As the largest county in the state, Southern Delaware's age-restricted neighborhoods in Sussex County have plenty to offer active adult retirees. It has a beautiful climate for those who enjoy experiencing all four seasons, family-friendly beaches for great summer getaways, and fascinating historic appeal. Sussex County is also home to many diverse 55+ active adult communities in Southern Delaware. Delaware is the smallest state in the country, stretching nearly 100 miles long and ranging in width from nine to 35 miles. Yet, this small state has significant weather changes between its northern and southern regions. Being the southernmost portion of the state, active adult communities in Sussex County generally have warmer temperatures, although its weather is subject to ocean effects. Summers are warm and sunny with highs in the 90s, while winters are cold with occasional snowfall. Active adults who want to live on the East Coast and experience all four seasons may find that a Sussex County 55+ community is an ideal fit. It is a particularly good option for those who don't want to move too far from their families in New York, Pennsylvania, New Jersey or other surrounding areas. With its own small-town charm and plenty of diverse attractions, it's easy to see why Sussex County is a great destination for active adult retirees. As the country's first state, Delaware has a long and rich history. Sussex County 55+ communities are near an area that has roots that trace back through Native American tribes of the Algonquin Nation, and the first European explorations took place in the late 1500s. Early settlements began with the Dutch, though disputes soon arose with the English. Colonial Delaware was a key setting for several events during the American Revolution and history buffs will love exploring Sussex County's historic sites and museums. Today, Sussex County is home to both historic and modern attractions. Locals and visitors alike enjoy visiting the area's numerous art galleries and performing arts centers. Sussex County also contains many fine wineries and breweries, such as Nassau Valley Vineyards and Dogfish Head Craft Brewery. Southern Delaware boasts some beautiful scenic areas and outdoor recreations are popular throughout the region. Fishing, boating, kayaking, biking, hiking, scuba diving and bird watching are all common pastimes. 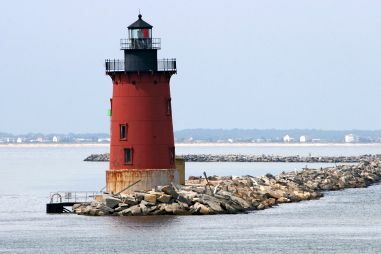 It's easy to get back to nature as the region lies along the East Coast and also offers several state parks including Cape Henlopen State Park and Fenwick Island State Park. Though active adult communities in Sussex County have much to offer, the area is perhaps best known for its beautiful coastal beaches and scenic islands. Some of the better-known beach getaways include Lewes, Bethany Beach, Dewey Beach, Rehoboth Beach and Fenwick Island. These charming coastal towns feature fun boardwalks, unique shops and fabulous eateries. They are busiest during the summer's peak tourist season when visitors flock to the area to experience its local, small-town charm. Residents over the age of 60 can exempt $12,500 of investment and pension income from state taxes. The income tax rate is 5.95% and Social Security benefits are not taxed. While Delaware s cost of living is higher than the national average, the state of Delaware is fairly lower than others on the northeast coast. In 2012, there were 2,439 physicians practicing in the state, which makes the ratio of about 266 active physicians per 100,000 residents. Christiana Care Hospital in Newark is a nationally ranked hospital in adult specialty. In addition, Bayhealth Medical Center in Dover and Beebe Medical Center in Lewes are two high performing hospitals. Healthcare is also one of the state s leading job industries.